"He was brilliant and the way he understood the case was fantastic." James is recognised as a leader in the field of high value and complex commercial dispute resolution. His vast experience gives clients the edge, not only on tactical thinking, but also on complex risk management strategies and funding/insurance options aimed at hedging litigation risk. In addition to his Court based expertise, he is also a leader in Alternative Dispute Resolution (ADR), and as a CEDR Accredited mediator he is able to give clients valuable insights into ADR strategies. James is recognised as an “Elite Leading Lawyer” in Commercial Litigation by The Legal 500. James regularly advises companies on competition litigation in the Competition Appeal Tribunal and the High Court. He has particular knowledge on “follow-on” damages actions against companies found to have infringed competition laws, including cartel and related price-fixing activities. Advising a UK company on substantial follow-on actions against Visa and MasterCard, relating to alleged anti-competitive conduct associated with credit/debit card multilateral interchange fees. Advising organisations on substantial follow-on damages actions against international truck manufacturers, arising out of EU infringement findings. Advising a UK company in respect of CMA investigations into alleged cartel activity in the galvanised steel tanks market. James has over 20 years experience of commercial mediation and Alternative Dispute Resolution (ADR). He regularly advises clients on ADR strategies designed to achieve a “winning” outcomes at reduced cost and over a planned timeframe. He is known for his deep insight into the process, from years of appearing as advocate at mediations, as well as from his training involved in becoming a CEDR Accredited Mediator. Resolving, at mediation, a long-running £10 million dispute relating to a waste contract – the mediation lasted 36 hours and was part of a planned strategy which resulted in a rapid and confidential settlement on favourable terms. James has industry-leading expertise in complex funding and litigation risk hedging strategies. He has extensive links within the UK funding market, and is able to create funding solutions where others do not have the expertise and contacts. James regularly advises corporate clients on risk management issues arising out of high-value commercial disputes. This enables his clients to make informed investment and risk management decisions in commercial litigation projects. Advising in relation to financial mis-selling claims against a UK lender by over 300 borrowers. Advising Central Government (DECC) on issues arising out of the largest ever group action/compensation scheme in the UK. Advising over 200 franchises on claims against a national estate agency group. Advising a number of UK companies in relation to a high profile cartel/price fixing investigation by the Competition and Markets Authority, and advising on related follow-on damages claim issues. Acting for a UK company in relation to an international arbitration (ICC) matter arising out of the supply of industrial equipment for use in Chile. Acting for a Local Authority in relation to £11,000,000 claim relating to landfill tax, against a UK waste operating company. The matter was successfully resolved at a 2 day mediation. Advising in relation to mis-sold financial derivative products, including interest rate hedging products. Advising an international food retailer (US owned) in relation to a significant supply-chain dispute. Advising a Central Government department on information management and evidential issues, including contentious Freedom of Information Act issues. Recently working with London-based brokers to form a syndicate of UK insurers to cover substantial adverse costs risk on a Group Action litigation case. Providing litigation risk management advice to a UK-based client, leading to estimated £1.5 million savings in legal costs through early dispute resolution. 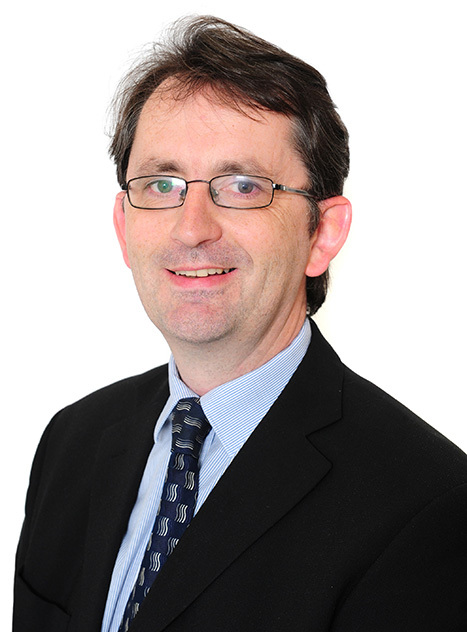 James has advised on many IT contract disputes, working as one team with colleagues in the specialist IT & IP law teams. He also works with leading technical expert witnesses and specialist legal Counsel, to deliver winning outcomes for commercial clients. Currently acting in relation to one of the largest IT and computer system disputes in the UK, relating to Post Office’s Horizon point of sale system. Advising a substantial public sector organisation on dispute management strategies relating to an EDRMS project and associated contract issues.